The offered range is designed under the careful guidance of creative team professionals with vast domain knowledge. Made available to the clients in variegated designs, patterns and sizes, our range is high on demand. Also, our range encompasses, Ladies Designer Salwar Kameez Suit, Party Wear Salwar Kameez, Designer Salwar Kameez Suit and Salwar Suit to name a few. Embroidery work on the bottom part and dupatta with combination of light green and pink. Color- Light green and pink. Our beautifully designed range of Salwar Kameez has been highly popular in the market thanks to our team of creative designers who put their best effort to come with a range that suits the expectations of our esteemed customers. Also, our offered range comes along with duppatta and straight fit pyjama that match with salwar kameez. Keeping in mind the huge requirements of the clients, we are involved in offering best quality of Party Wear Salwar Kameez. The offered Party Wear Salwar Kameez is available in the market in bulk at most reasonable prices. 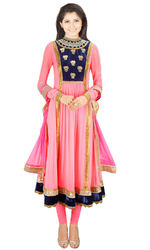 The offered Party Wear Salwar Kameez is known for its elegant colors and designs. We also customized this Party Wear Salwar Kameez as per the client’s requirements. 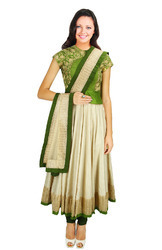 We sourced quality fabrics from the merchants for manufacturing this Party Wear Salwar Kameez. 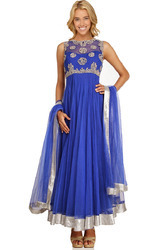 Party Wear Salwar Kameez is known for its smooth texture. Designer Embroidery Salwar Kurta is offered by us to clients in wide range. The offered Designer Embroidery Salwar Kurta is available in different colors and designs. We manufactured this Designer Embroidery Salwar Kurta as per the latest fashions and trends. 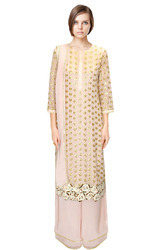 We are the leading supplier of this Designer Embroidery Salwar Kurta. We also customized this Designer Embroidery Salwar Kurta for clients as per their requirements. Designer Churidar Salwar Suit is offered by us to clients in wide range. 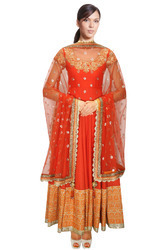 The offered Designer Churidar Salwar Suit is available in different colors and designs. We manufactured this Designer Churidar Salwar Suit as per the latest fashions and trends. We are the leading supplier of this Designer Churidar Salwar Suit. We also customized this Designer Churidar Salwar Suit for clients as per their requirements. Printed designer long suits with pink flower print on bottom and upper is attractive white color. 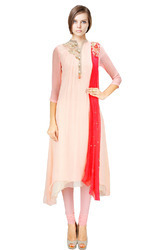 Present with the light shaded pink dupatta. Net Kasab with zari work double flair long dress. 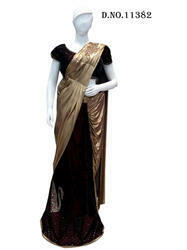 New Party Wear Suits is offered by us to clients in wide range. The offered New Party Wear Suits is available in different colors and designs. We manufactured this New Party Wear Suits as per the latest fashions and trends. We are the leading supplier of this New Party Wear Suits. We also customized this New Party Wear Suits for clients as per their requirements.